If you want to spend a day in nature and hiking or have a picnic, a trip to this nature reserve is just what you are looking for. The park is home to 8,000 hectares of native flora and fauna, including the Chilean palm tree, which is still home to palm honey, and the typical hardwood forests of central Chile for this Mediterranean zone. In the spring, wild flowers sprout, in the summer the forest provides shade, in autumn the foliage of the beech forests and in winter the snowy Andes in the background make a beautiful picture to explore and linger. 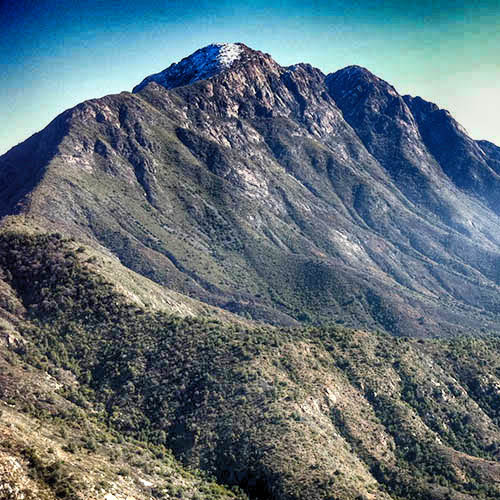 The National Park is after his bell-shaped granite neck "La Campana" ( the bell) is located in the coastal mountains and is traversed by a network of hiking trails. While the morning mist on the slope side, which is oriented towards the ocean, still feeds the vegetation, the sun on the lee side is already drying the soil and cacti testify that the vegetation there is rather dry. Just a park of contrasts. Practical: 8 hours environment Tour by private car.